So many interesting things in this postcard on Ebay. The well known buildings of the period including the Foster's buildings, Central Hotel and Cafe, Walsh's and in the distance the Fitzalan Market Hall and, I think, old Town Hall. 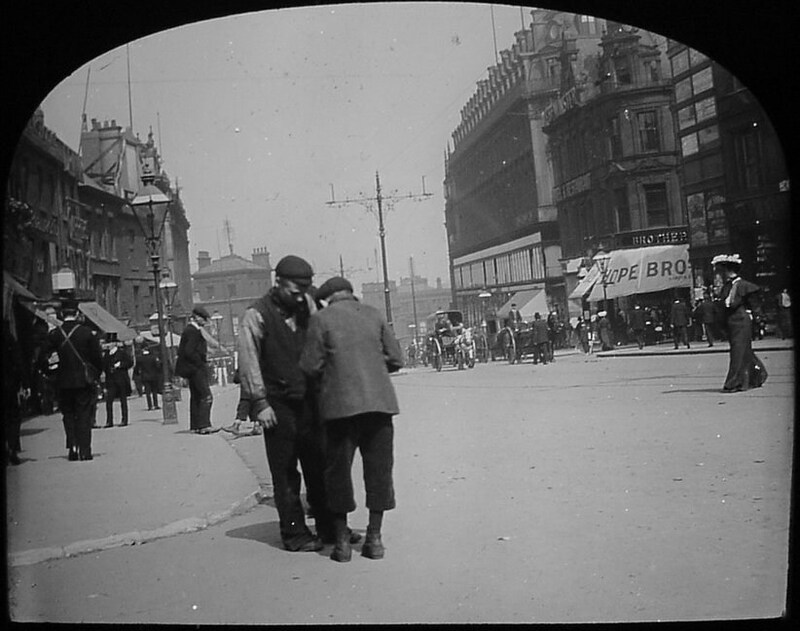 Facinating photographs, they say (picturesheffield.com) 1900-1919. 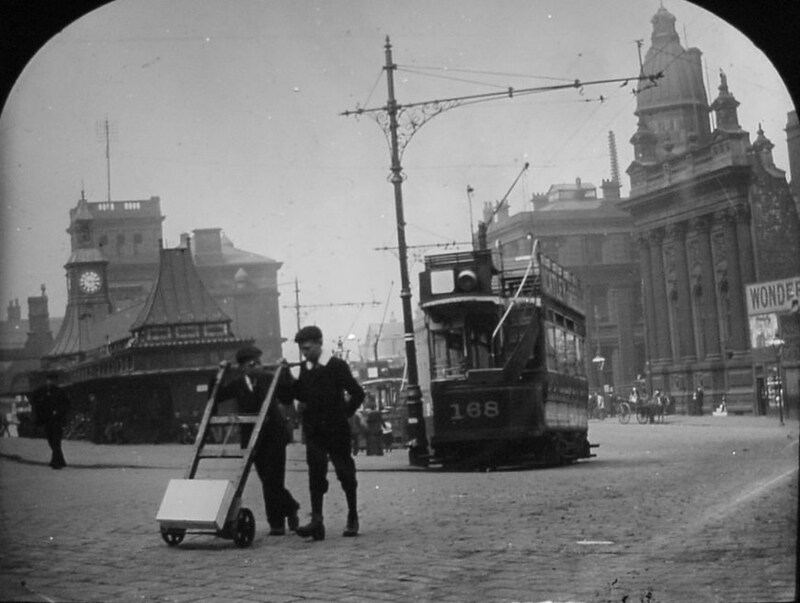 The tram in the foreground was built 1900/1901, there are no signs of wartime posters or uniforms that I can see, so I would guess it's pre 1914, or are there other clues? I wish I could see what was on at the Empire. Go on, - what's a growler ?? "Horse-drawn cabs, commonly known as "Growlers" are in very little demand today they are too slow for these times. At the railway stations a few of the "growlers" are still to be found on the ranks." 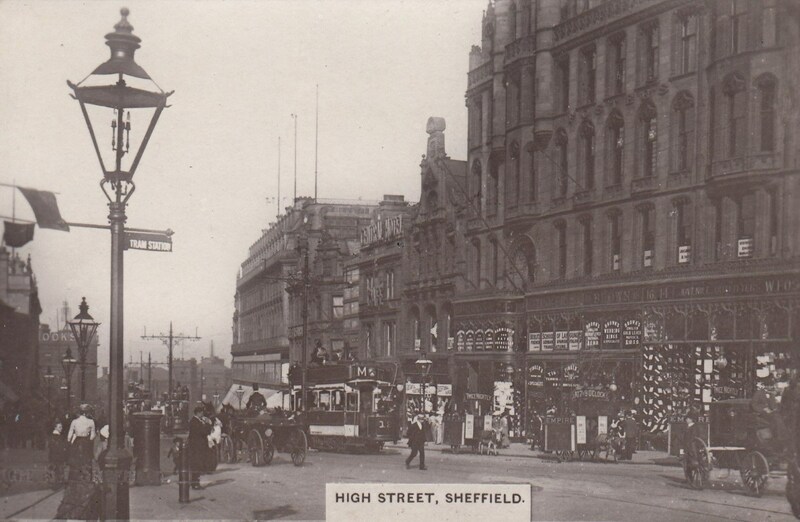 Leeds station had banned them but in Sheffield the rights to use the station approaches was down to individual firms and there were still a few "growlers", waiting hours for a customer who dreaded fast moving traffic and didn't mind a slow journey. 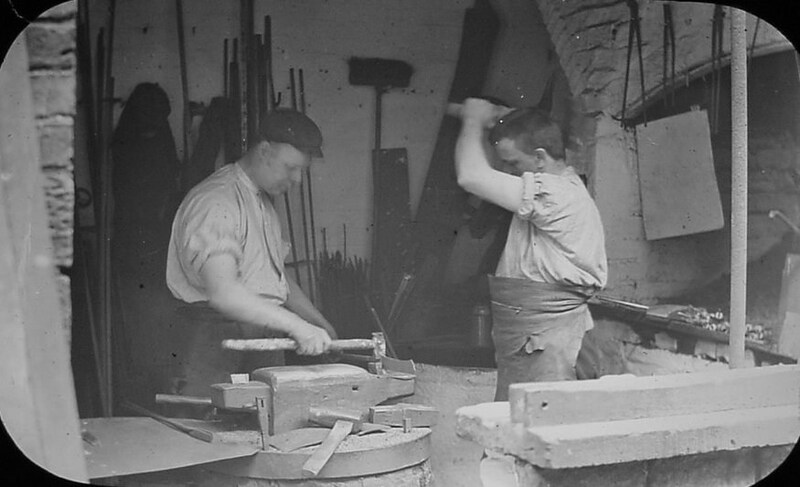 A representative from Reuben Thompson Ltd, said that the real reason for retaining them was to give employment for some of their old servants. 7 hours ago, rover1949 said: Go on, - what's a growler ?? As explained by Edmund , a four wheeler cab, and named because of the noise they made over the cobbles. 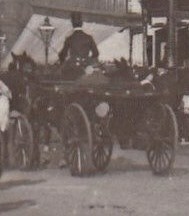 This is the one I believe is a Growler as the driver looks to be dressed as a cabby, if he was dressed in a uniform with top hat it would suggest a private four wheeler and would probably be referred to as a Clarence by its owner. The open top one judging by the coachman looks like a private one possibly a Landau. 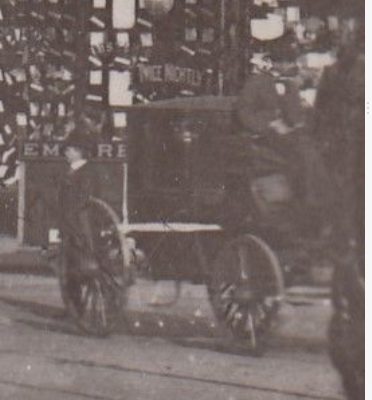 EDIT, I just noticed on the close up that there appears to be another donkey advertising cart behind it.